On the day the Louvre gallery in Paris was put on lockdown, figures show the numbers visiting Britain’s museums and galleries last year fell by 2 million, with experts saying fears of terrorism could be largely to blame. London’s finest museums, including the Tate Modern, British Museum and Imperial War Museum, saw 47.6 million people visit between April 2015 and April 2016, according to a new report by the Department of Culture, Media and Sport (DCMS). However, a record 50 million people visited the same institutions during the same period the previous year, representing a significant drop in the space of a year. The Association for Leading Visitor attractions (Alva) believes security fears have played a role in the drop, which is especially steep in central London. “We see it as a central London phenomenon,” Alva director Bernard Donoghue said last October. Donoghue told the Museums Association website that anecdotal evidence from Alva members, the European Tourism Association and VisitBritain pointed to perceptions of security being the biggest factor. Museums across the country also saw a drop, with the Tate galleries in London, Liverpool and St. Ives losing more than a million visitors over 12 months, from 7.9 million to 6.7 million. Industry insiders also blamed fewer school trips for the drop, as many teachers are finding it harder to devote resources to extracurricular activities. Museum and gallery attendance by young people across the country fell 6.9 percent between April 2015 and April 2016, according to the Times. “These figures are clearly disappointing. As schools come under greater pressure, they are finding it harder to devote time to out-of-class activities such as museum visits. Children are increasingly missing out on valuable experiences that bring history, science and culture to life and expose them to new ideas,” Museums Association spokesman Alistair Brown told the Guardian. 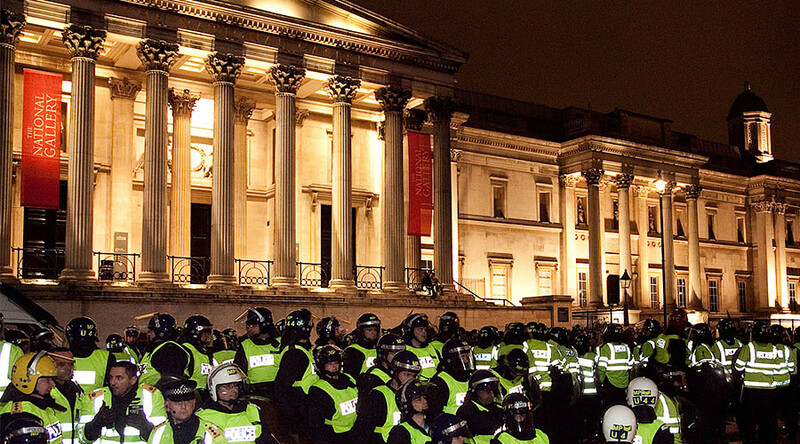 The V&A Museum in South Kensington, London, was evacuated last month follow a bomb alert. Police later “stood down” the incident as no security threat was found.